A Hebrew Birchon and Zemiros for Shabbat and Holidays. Tropical leaves are embossed creating a thick border. Bencher can be personalized and embossed with lettering as desired to serve as a souveniour of your special event. 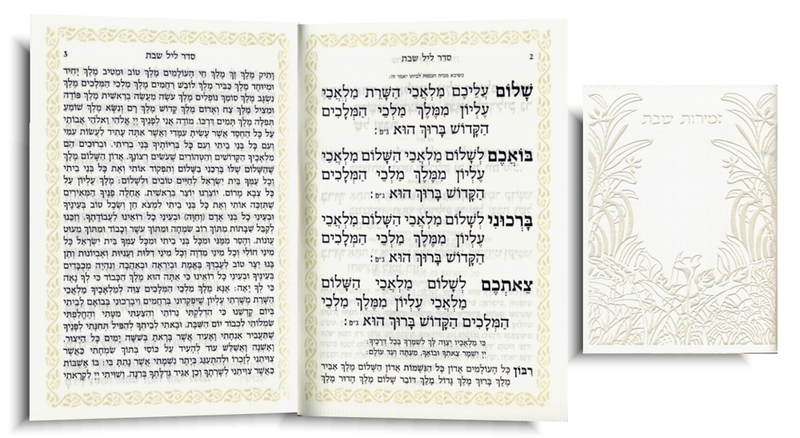 Includes zemiros/songs, kiddush for all shabbat meals, grace after meals, sheva brachot, havdalla and songs for motzei shabbos. 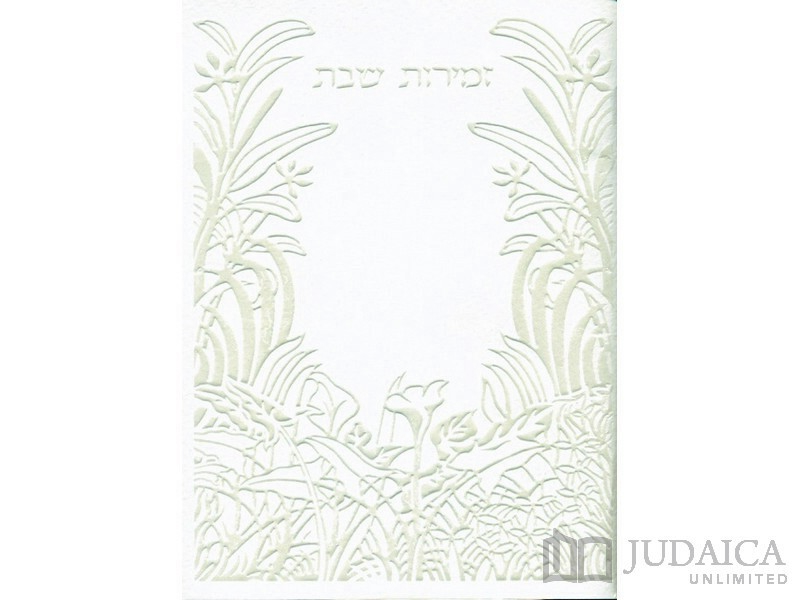 This bencher booklet is available in Nusach Ashkenaz.